A mild year round temperature creates the lovely and colorful springtime backdrop found in the coastal community of Brunswick Forest. As the temperatures continue to rise, the outdoor amenities at Brunswick Forest become even more enticing this spring season! Get out and enjoy the amenities that are right at your doorstep! 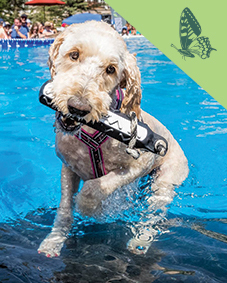 –Kayak and canoe at the River Club– A natural outdoor oasis full of adventure awaits you at the Brunswick Forest River Club located along Town Creek. A full day of kayaking and canoeing is the perfect way to kick off spring! 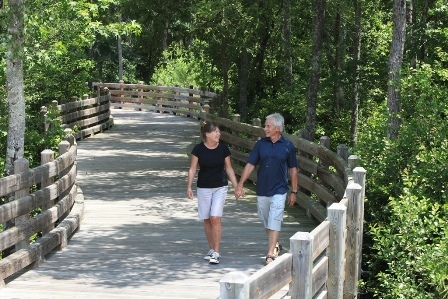 –Walk and bike– Take advantage of the 100+ miles of walking, biking and nature trails that weave throughout the Brunswick Forest community. Extra wide sidewalks make for an enjoyable walk, ride or jog at any point in the day. –Golf at Cape Fear National– Enjoy a day on the beautiful 18-hole Championship golf course that is set amid a lush natural landscape in southeastern NC. A fun-filled round of golf this spring will undoubtedly make for a perfect day! –Tennis and Pickleball– Hit the courts at The Fitness and Wellness Center for another great way to enjoy the outdoor amenities at Brunswick Forest. With 5 hard surface courts and an additional sport court, a sunny Carolina day can be spent in the best way…on the courts! 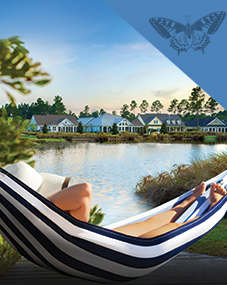 Find an ideal temperature averaging around 74 degrees in an equally ideal community at Brunswick Forest!